Right here you can download copies of our exclusive music production tutorial videos. These unique items are HD quality and contain only the most cutting edge content. Your unique download link is emailed to you straight after purchase, so within minutes of clicking the link, you can sit back, relax, and get educated by only the industry’s most talented artists. All our videos are at a sensible price so you can make an affordable investment in your production skills. Once finished – Click ‘view cart’ at the bottom. Originally recorded Live at our annual Music Production seminar. Joe is here with a highly detailed tutorial giving you an in depth look at his techniques for creating sounds, processing them and then writing an idea from these parts. Broken down over 6 sections this is one of our most technical seminars to date. Joe is an artist that has risen to fame in D&B at a young age, with boundless musical talent and technical prowess he is in many ways a producer’s producer. With pin point precision in his work and a real ear for unique sound design he sits at the top of scene as someone who is respected the world over. Originally recorded Live at our annual Music Production seminar. Tom Rockwell delivers a depthy look at his production approach, using his recent release ‘Hoez to the Floor’ as the case in point. Breaking down all aspects of the track step by step and talking about his decision making and processing at each stage. This is a highly anticipated talk and one we are very proud to have hosted. Regardless of your preferred genre, this tutorial is packed with inspiration and techniques! Bristol composer and music theory expert Peter Mills (aka Silvertortoise) is back with a brand new set of tutorials focusing on the essential aspects of theory that can be used inside the DAW. Some of you may have seen the fascinating seminar he did for us back in 2013, including a live analysis of Noisia’s anthem ‘Stigma’ He follows on from this in more detail, looking at: Scales, harmonies, Chords & progressions, inversions, track analysis and much more in an information packed 4 part special! Recorded Live at our annual Music Production Seminar, Luke Beavon aka LSB drops an incredible 80 minute session walking us through two of his recent releases – ‘About Tonight’ and ‘Leave’, as well as a remix he did for Lenzman. A superbly balanced delivery covering the ‘how’ in equal measure to the ‘why’. Lot’s of inspiring ideas and approaches to making D&B or music in general. A timeless talk in many ways and one of the best we have hosted to date. There is no question modern house and 4/4 styles have been influenced by other bass heavy genres, giving rise to some of the beautifully rounded and weighty productions we hear today. Gotsome are a perfect example of evolution in motion, they favour “raw sounds, tighter, simpler” with huge impact and low end presence. Their music is receiving big time recognition the world over, releasing on Defected, MTA and Zoo Music they bring the classic house sound right up to date and with superb attention to detail in terms of the technical aspects. In this seminar special you will follow one half of the duo, Alex, take you through three of their recent tracks, with the main focus on exactly what’s going on in that low end plus lots of new ideas, plugins and techniques to get you inspired. An exclusive look at two tracks from the Compa library – both the released track ‘Tibetan Chant’ and also the forthcoming dub-wise anthem ‘Bass Drum Version’. With footage taken at the last Digital Labz Seminar and also bonus material shot at Compa’s studio. This makes a very unique video. Bass music makers will love the artistic and stripped back approach in this lesson – with an extra nod to the logic users out there. Compa covers his approach to: drum arrangement and mixing, bass elements, mix-down and other general advice and inspiration relating to being an up and coming producer. Compa is now signed to Mala’s ‘Deep Medi’ label and has a load of new material on the way – so it’s a great time to get some insights into how he works. Enjoy! Back in June this year a very special guest came to Bristol to give a long awaited talk…Matt Quinn, also known as the mighty Optical – one of the most respected audio engineers in electronic music, full stop. With his work ranging from breaking new ground via his LP with Ed Rush -‘Wormhole’ to engineering and composing for Goldie’s ‘Saturnz Return’ and also co-writing the Album ‘Mysteries of Funk’ with Grooverider. The alluring aspect of his style is that his engineering skills are equally matched by his sense of artistry, seamlessly woven together to give the distinct, precise and vibrant sound that his music is know for – the world over. In this masterclass Optical looks at all angles of his production skills, and uses two tracks (forthcoming from the new Ed Rush & Optical LP) to demonstrate this, as well as a world exclusive dub he had been working on just for the seminar. Tutorials simply don’t get any more exciting!!! Few people in the D&B scene garner as much respect and widespread appreciation as this top shelf producer does. Making relentlessly outstanding music over the last 14 years, releasing 240+ tracks on pretty much every big playing label, such as: Symmetry, Shogun, Ram, Metalheadz, No U-Turn, Soul:R, Critical and SO many more. The talk he delivered for us was simply inspirational and full of amazing ideas, we couldn’t be happier to be working with him, knowing you’ll love the journey Charlie takes you over this extra special 80 minutes. He looks at Drums, Bass, Mixing, Sampling, Editing, Processing techniques and effects chains… this is BREAK in detail and as you’ve never seen him before! World exclusive business. Dj Krust. The legendary producer and creative practices coach laid down an amazing two hour lecture that resonated with all kinds of interesting ideas and new thinking. Krust has been many significant roles within the music industry over the last twenty years, and we were absolutely delighted to have him down. His delivery is as fascinating as it is thought provoking and he talks you through some key ideas in creative psychology and positive mindset – essential for making solid music. Deep thinkers – this one is for you! A great insight into some core principles used in writing electronic music. Hosted by Peter Mills who is a composer, producer and classically trained musician. In this FREE video, Peter looks at Chords, Melody, Harmony, Inversions, Counterpoint, Rhythm and other key aspects. As well as analysing tracks by Noisia and Massive Attack to look at their bones in a musical sense. We had some issues with capturing the sound with this talk and as such will be offering it to you free of charge.. We hope you pick up something useful! In what has shaped up to be one of our best tutorials to date in terms of variety…. Culprate tops it off with a wholey fascinating hour and half, packed full of new information and techniques, that will give you ideas that you can put into practice in your own tracks straight away. Obviously this is geared more towards modern Dubstep, Drum & Bass and bass heavy Breakbeat styles, but his talk covers universal production principles which are highly valuable to know no matter what style you make! Culprate is a fully trained audio engineer and he serves up the nectar of his training over the course of this world exclusive 90 minutes…Prepare to have your mind blown! Concepts taught: Gain Staging / FM Synthesis for Bass / Creative delay & Reverb / Mid Side / Mixing principles / EQ approach / Layering beats & bass / Using Samples + much more. It also includes the Ableton patch for the Bass parts in Culprates remix of ‘Bun Dem’ by Skrillex Feat. Damien Marley… hands on learning – Enjoy! What is sound actually made of? Why do certain sounds have textures? Which waves suit what purposes? These questions and many more get posed an answered in this intelligent and fascinating presentation by our star lecturer, Wedge. You will learn about the nature of harmonics in waves (both odd and even) Overtones, Resonance, wave properties and most importantly how all this relates to making your own synthesised sounds. This video has an amazing section on making your own pads, including resampling and processing them for futher effect using some advanced EQ techniques. This and much more make up a must see video for anybody looking to develop their skills as a synth composer and manipulator of sound. The session is taught on Logic, but the concepts translate to any DAW you prefer to use, it’s more about the science behind it than a particular software. Enjoy! DubKasm [Cargo] – “Modern Dub Production Masterclass” + Exclusive samples & IR pack. In this wonderful talk, delivered by Ben Glass (aka Digistep) of legendary Dub production outfit ‘DubKasm’, you are guided though the history and techniques that make modern Dub what it is today. Not only do you learn the principles that make up the music, and the techniques you can use to get them, you also see what things you can use around the home to give you a more organic feel to your tracks. Ben’s storytelling is as great to listen to as his technical advice. Whatever your preferred genre, you can take many of these ideas home with you to improve and insprire your own music. Ben has worked with Aba Shanti-I, Solo Banton, Levi Roots, Dub Judah and Iration Steppas to name a few, and has been consistently making heavy dub riddims since 1994. No need to big this man up anymore! To get some inspiration on that authentic Dub sound, and introduce into your style, whether it is Techno, Drum and Bass, Dubstep or experimental, this video will infuse you with positive vibrations! The video comes complete with a beautifully engineered dub sample pack, custom designed for this download. It includes, Bass, Horns, Drums, Percussion, FX, Keys and some lovely IR’s for convolution reverbs! An amazing package for anybody wanting some roots flavours in their musical productions. MIND VORTEX [RAM] – “Drum & Bass Masterclass” + Exclusive sample & preset pack This is the first full length public seminar given by a Ram Records artist on production. Needless to say we are hyped! In this amazing 80 minute tutorial, Mind Vortex go deep inside their track “Hot Box” and show you how it was made and what approaches they took. They also look at how they make their basslines and the types of processing they like to use for tracks such as the massive Cryptkeeper remix they did for Camo & Krooked. This, plus loads of other cutting edge information on drums, reverbs, limiting and distortion make an action packed feature length video. It is also accompanied by a special sample pack and set of custom ‘Massive’ presets designed by Mind Vortex exclusively for Digital Labz. These guys are signed to the world renowned Ram Records imprint, so if you’re looking to get some top grade tips and advice on making underground bass music, this video package is a perfect way to get inspired and learn. Enjoy. OCTANE & DLR – “Drum & Bass Masterclass” + Exclusive sample pack / Q&A This is a tutorial we are extremely excited to be hosting! Both of the producers in this duo are incredible talents, and combined they are now making waves in the deeper tech-funk style of D&B. They have a unique and creative sound which in this video tutorial they discuss not only how they make their basslines, but also how they approach production in general. Included in the download is an awesome sample pack put together by the guys which has some tasty sounds in there for you to get producing with! Also included is a special exercise where you get to lay out the bass stems from ‘Back In The Grind’ into your sequencer to demonstrate how they utilise space in their arrangements. The great thing about this download package is it also includes a reduced resolution version designed for smartphones – so if you are out and about; you can take the video with you, and then watch the full quality version when you are back on your computer! Also included, is a special production Q&A where they answer in depth questions regarding their music and the methods they adopt. With a new album about to drop and a slew of upfront singles in the pipeline, this is the perfect time to be venturing into the world of one of undergrounds hottest talents. MR FOUL [DSCI4] Production Tutorial This is a refreshing look at making music delivered by fast developing producer. In this video he will take a part-by-part look at some of his best work and show you how he works the software to get an authentic feel with his tracks. He also discusses sourcing sample material and and how they can be used in an original way. Logic users will obviously get a lot from this video, but so will producers from all software set-ups and genres. Foul will give you some great advice on mixing and using Equalisation to get a fuller sound in you mixdowns. Johnny also has some great ideas for starting tracks and is a very inspired producer. We know you will enjoy this great talk! PEDESTRIAN – “Inspiration & Creativity for Electronic producers”. As a producer you will know how often frustrating it can be to be stuck in a rut with your music. Only a few days ago you were writing something epic and now you are loopmonging where the outlook isn’t looking too bright. Sound familiar? In this tutorial Pedestrian shares his wonderful outlook on production with the group, giving you some great ideas on how to start that special spark in your music that could go on to write a beautiful sounding track. He also talks about the composition of his tracks in general, including the structure of the Giles Peterson favourite ‘Hei Poa’. Thoughtfully guiding you through the plugins he uses and techniques he adopts to get that vintage sound in his music, this talk is packed with ideas, inspiration and technical food for thought. Whether you make downtempo styles or not this video will broaden your horizons and without doubt help you to be a better producer, musician and artist. “SOUND SCIENCE FOR PRODUCERS” [Theory and application].If you are a producer of any genre, it is highly important you know about the fascinating sonic medium in which you work. Regardless of your chosen software you are a ‘sound-smith’ and your end goal is controlling a human ear to experience the pleasure of your music! In this video you will be taught a new angle at which to approach this fascinating subject. You will also learn the method of treating your room with absorbers and diffusers so you have a super acurate listening environment in which to get solid mixes. This lecture has no prefered software so whatever your style or platform, this will show you some truly fascinating concepts that will change the way you think about sound forever. For those who are serious about becoming a better producer and engineer, the information in this video is pure gold. EVESON (V RECORDINGS) – “Sampling and creativity special”.This is an enlightening look at the methods and creative practices used by one of the scenes most productive artists. Learn about sampling and the process of layering a track. You will gather some truely inspirational techniques and advice from an artist with a wonderful outlook on music and art in general. This talk shows the viewer the beautiful simplicity in which good ideas are formed upon and how music production is an art form with no lesser importance than any other medium. In this Lecture Eveson talks about the use of samples taken from other music and how this effects the dance music community. He goes over some exclusive music from his new album on V Records and shows you how it was made. And also talks about how he gets his bass sounds together. This is a massively inspiring talk and something we are really proud to have hosted. Sit back, grab a drink, and enjoy this video! INSIDE INFO (VIPER RECORDINGS) ———- “Bass Music” Production Masterclass. This is an in-depth journey into the secrets of a modern day Drum & Producer. Learn not only about scultped bass-lines and the process of resampling them to get that professional sound, but also about the industry level insights that will help you to get your music noticed. Inside Info then goes into detail about the routing he uses within his work station, and then shows off some killer plugins which help give him the edge. Lined with his great Philosophy on making music, this talk is packed with inspiration and it even has a superb micro tutorial on making modern bass sounds worked into the video! If you want to be releasing your own music, this epic 90 minute video willl give you the much needed information, technique and inspiration to get cracking in the studio! WEDGE (HENCH RECORDS) – “Modern Electronic Production Essentials”.Delivered with real class, Wedge goes into one of his most prolific tracks to date and shows you exactly how it was made. Packed with some proper gems of production knowledge, you will get a further understanding of some production essentials such as: reverb, sends & Bus use, sidechain and mono phase issues get fully explained as does correct Equaliser application. Wedge also has some great tips and tricks for Logic users within the the tutorial. 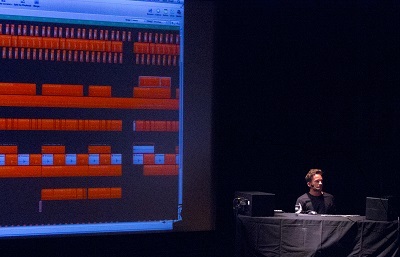 But the best thing about his presentation is that whatever platform you use, you will pick up some really usable techniques and information that you can implement within your own productions. With a professional delivery and great content, this is one not to be missed! HENRY BAINBRIDGE (DUBSTUDIO UK) – “Mastering Modern Dance Music”. Follow Henry through a fascinating insight into the viewpoint of an experienced mastering engineer. This seminar footage combined with several micro-tutorials worked into the video, will give you a good understanding of the techniques involved in mastering music both digitally and for cutting to vinyl. Henry explains how he uses his studio hardware to get the fantastic results he achieves, but also how you can use the wonderful Izotope Izone 4 to get a good master done at home. Henry works full time mastering modern dance music so this is a really special tutorial, from a total legend in his field! This is a feature length video and will not only open your eyes to the mastering process but give tons of information and techniques to perform your own masters at home.